Welcome to a brand-new-to-me event: #Sunday Supper. Every week creative cookers and bakers from all around the blogosphere converge to create a themed, virtual potluck with the goal of enticing families back around the dinner table. My husband, boys, and I eat two meals a day together, so Sunday dinner is nothing out of the ordinary. But I can definitely get behind a movement that focuses on families sitting, conversing, and eating supper together. DB, the Foodie Stuntman, who blogs at Crazy Foodie Stunts is our host this week. The theme is Eat Your Greens. It's the perfect week for me to join the fun. If you've been following me for even a brief period, you'll know that I put greens in everything. I fold them into ricotta dumplings, Malfatti di Ricotta e Bietola; I bake them into frittata - here's a chard-laden Marigold Frittata; and one of my favorite Indian dishes is Palak Paneer, homemade paneer cheese in an lightly spiced, emerald-hued sauce. So, for this, my first #SundaySupper post, I decided to create a salad with some of my favorite Spring greens - delicate pea shoots, tender asparagus, and crisp fennel. I hope you enjoy this as much as we did. 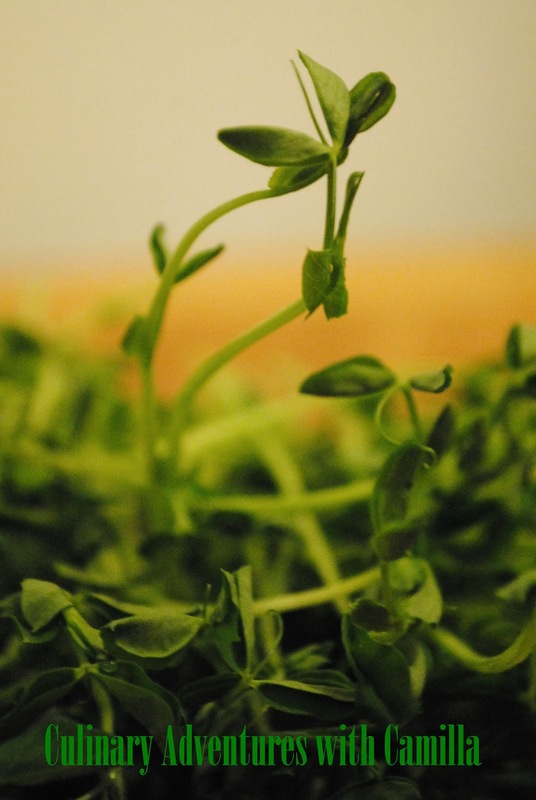 Coarsely chop the pea shoots into thirds and spread them over your serving platter. Trim and thinly slice the fennel bulb. Lay them on top of the pea shoots. 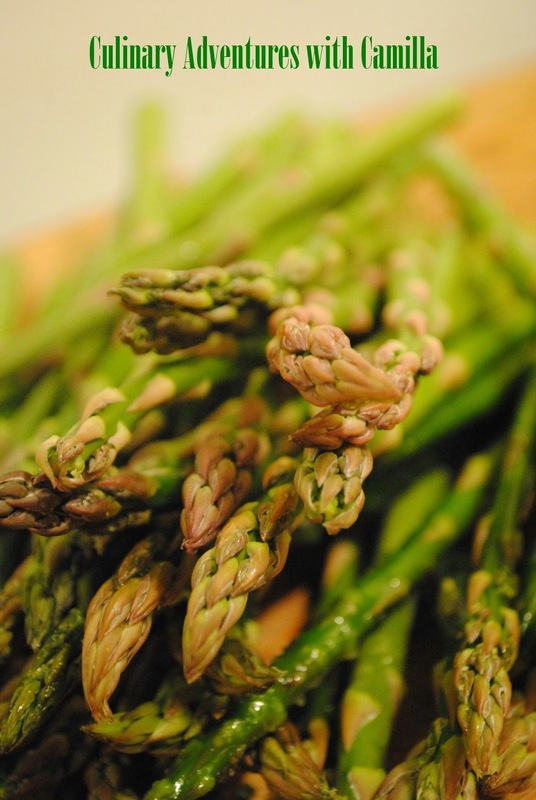 Slice the asparagus stalks into 1" pieces and blanch them until bright green. Drain them over ice to halt the cooking. Drain well. 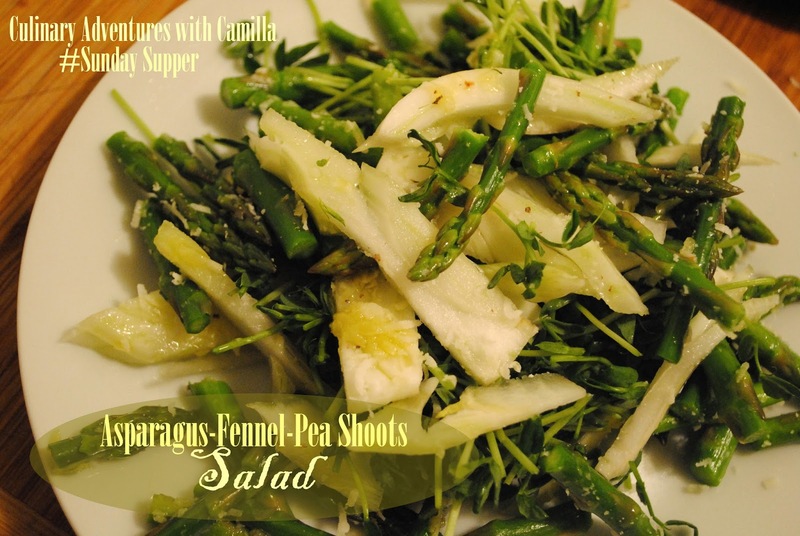 Top the pea shoots and fennel with the chilled asparagus. Drizzle the olive oil over the greens. 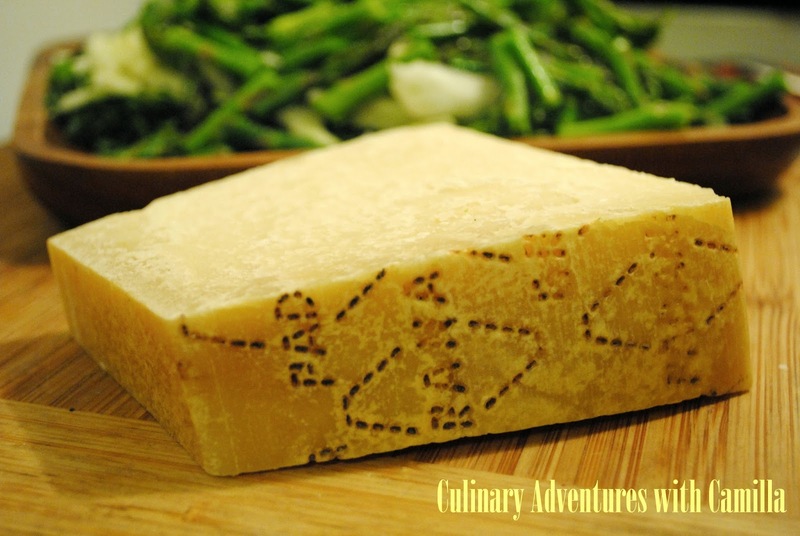 Grate the Grana Padana over the top and hand-salt the salad. Grind some fresh pepper over the top and you're done! 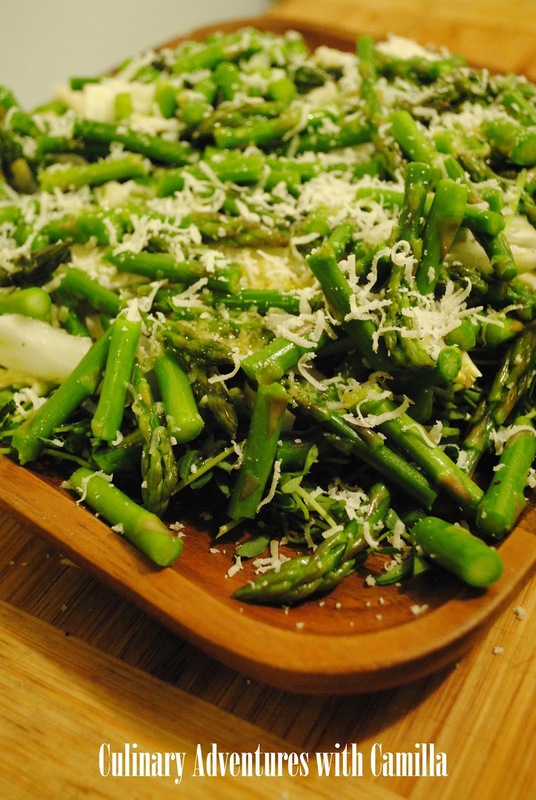 It's amazingly fresh and tasty - a perfect Spring salad that dances on your palate. Here's the Eat Your Greens offerings from the entire #SundaySupper crew. Enjoy! Oh yummm! What a great salad! I am sure I would really like this!!! I'm going to have to hunt down some pea shoots! Your salad sounds terrific! I've used pea shoots once and thought they were beautiful! I'm lucky that my Whole Foods has them. Great salad. Nice cooking with you for Sunday Supper. I love it! Fennel is one of my favorites, it give a nice taste to dishes and your dish looks mighty delish!! 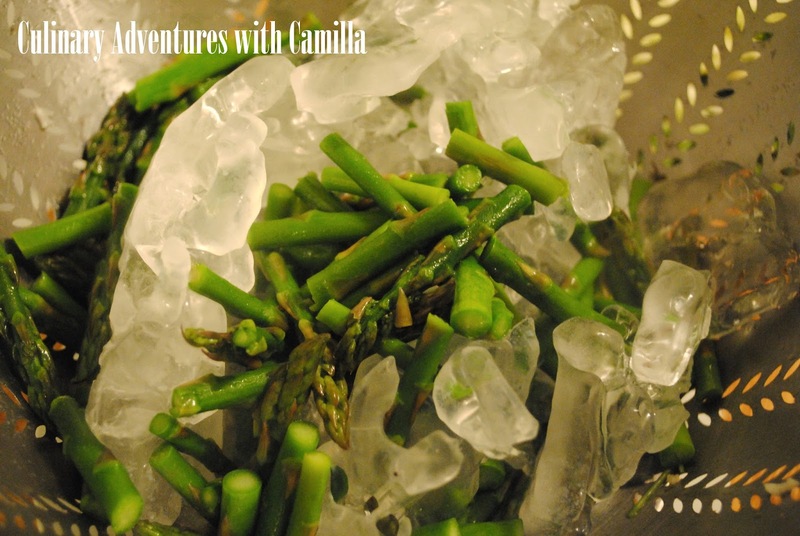 Welcome to #SundaySupper Camilla! This salad looks gorgeous :). Thanks for the nudge, Heather! This was fun. Looking forward to the twitter chat this afternoon. Yum! Nice addition of CHEESE! 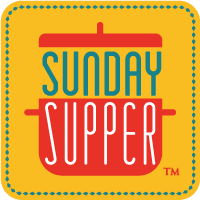 Congrats on your first #SundaySupper post! Love what you wrote as well as your delicious recipe!! Such a pretty salad! I saw pea shoots in my local grocery store once, but they looked like they'd been on the shelf for a week too long, so I skipped them over. I'll need to hunt down some fresh ones and give this recipe a try! I am obsessed with pea shoots!!! LOVE them! and love your salad. . all of my fave things! I've never put fennel & asparagus in a salad together! This sounds yummy! Welcome to Sunday Supper, Camilla! I haven't had pea shoots in a long time. Sounds great in here! We grow pea shoots on the window sill, I absolutely love them. This looks like such a great salad. Wow, you rocked this recipe! Light, green, spring-y! Pea shoots = perfection.